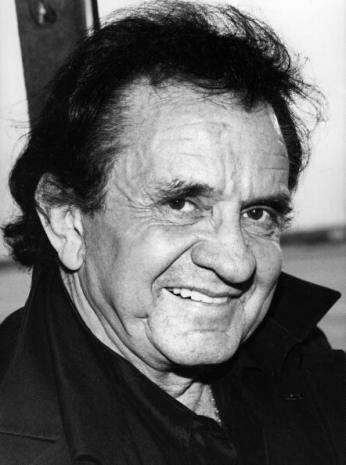 John R. "Johnny" Cash (born J. R. Cash; February 26, 1932 – September 12, 2003) was an American actor, musician, and writer. He voiced Homer Simpson's spirit guide in the season 8 episode "El Viaje Misterioso de Nuestro Jomer", in what Matt Groening regarded "one of the greatest coups the show has ever had." Johnny Cash was voted 14th in IGN's "Top 25 Simpsons Guest Stars". ↑ Groening, Matt. (2006). The Simpsons The Complete Eighth Season DVD commentary for the episode "El Viaje Misterioso de Nuestro Jomer" [DVD]. 20th Century Fox.